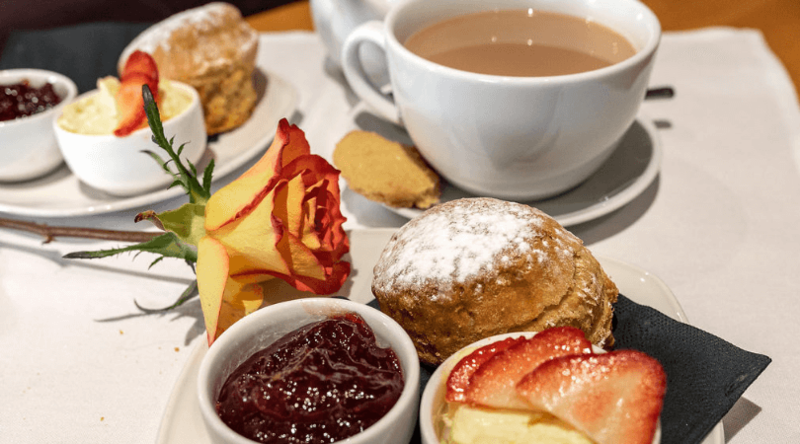 The best Afternoon Tea in Devon! 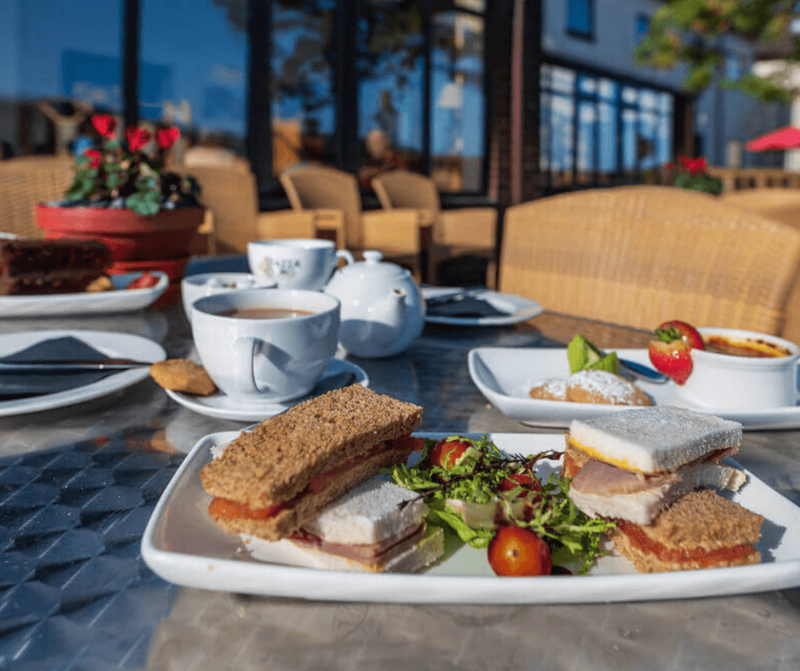 If you’re looking for somewhere to enjoy an afternoon tea in Newton Abbot, The Passage House Hotel is the perfect location for a peaceful afternoon. 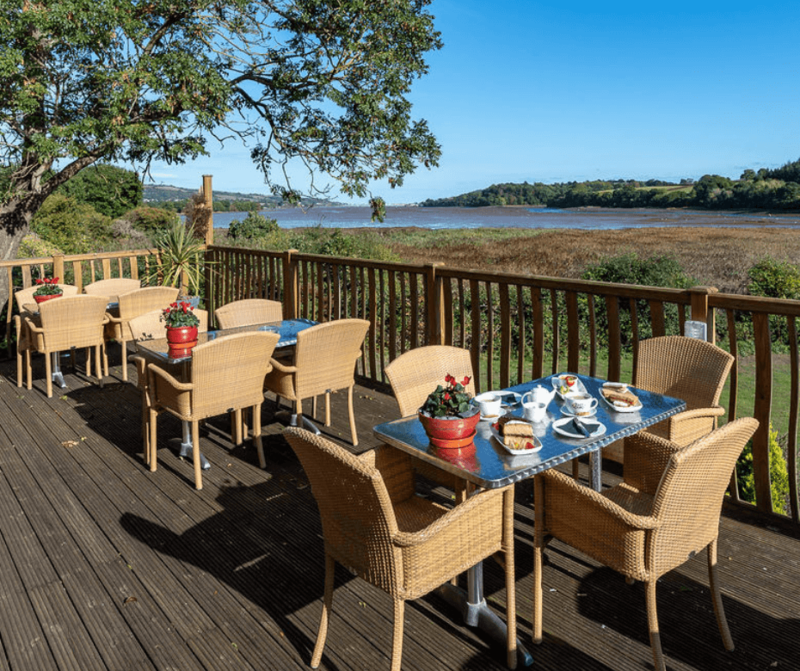 Enjoy your afternoon tea in the warmth of our sun-terrace, sit back, relax and admire the beautiful scenery that surrounds The Passage House Hotel. Our team of in-house pastry chefs bake wonderful homemade cakes and scones daily for our indulgent afternoon teas. We only use locally sourced Devonshire clotted cream for our tasty cream teas. Choose from a selection of traditional sandwich fillings, fruit or plain scones and your choice of tea or coffee. Celebrating? Ask at reception about a Champagne upgrade. Afternoon tea, a quintessentially English Tradition was introduced to England in 1840 by Anna, the seventh Duchess of Bedford. It is said that the Duchess would become hungry around four o’clock in the afternoon. The evening meal in her household was served fashionably late at eight o’clock, thus leaving a long period of time between lunch and dinner.